Take care of yourself as you would a garden, it’s easier than you think. When it is not a routine or you’ve had a busy day, meditation, based on silence, paying attention to ones breathing, observing without judging thoughts, can be difficult. Then, a voice that guides with simple gardening practices can lead, through metaphor, to feeling at peace and serenity. The four meditations, which can be heard in sequence or individually, are: Cleaning: removes sluggishness, parasitic thoughts, environmental negativity and gives a sense of freshness, as you might feel after taking a shower or a bath. Seeding: helps to create new attitudes, ideas, thoughts, recalling the awareness of consciousness, in which birth and death are just two sides of the same phenomenon. Pruning: what is born cannot take unnecessary or chaotic direction, and cutting the superfluous helps, as well as some movement which forces us to do so, to travel light, more comfortably and faster. Blooming: having grown and full of energy, we can create new projects, flourish as works of art, drawing from sounds and colours, resources of creation that become easily accessible. 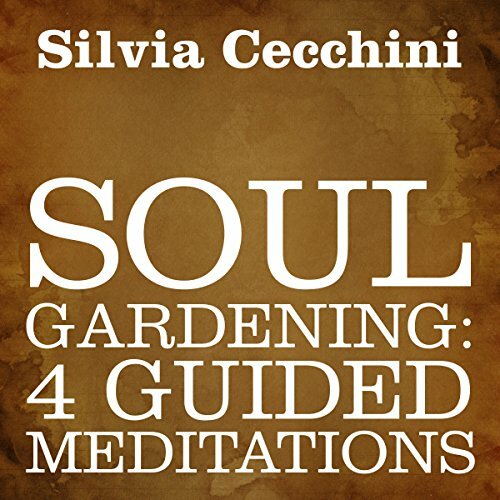 What was most disappointing about Silvia Cecchini’s story? Appalling quality and therefore nonsensical. How this got onto audible is beyond me... there is clearly no quality control!